As the only junior college competing, the Northern Virginia Community College Overwatch team has had a banner first year and is still alive for the national championship. ANNANDALE, Va. — Imagine: A brand-new junior college basketball team is allowed to compete in Division I for a year. Not only are they up to the challenge, they nearly run the table on the regular season, beating all but one team in their path, steamroll through the first round of the NCAA Tournament, then stage an epic comeback to make the Sweet 16. It’s an impossible scenario for a number of reasons, given the institutional structures and talent disparities in a sport like college basketball. 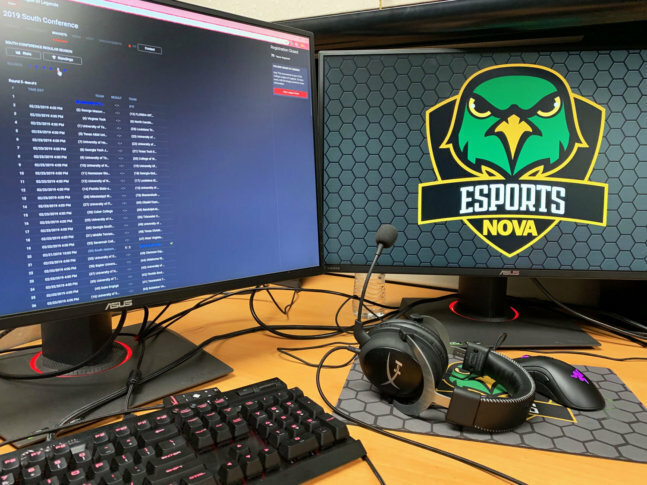 But it’s exactly what the Northern Virginia Community College Esports program has done in its inaugural year, without any of the benefits of a four-year school, as the Nighthawks have staked their claim as one of the best college Overwatch teams. For the uninitiated, Overwatch is a team-based, six-on-six multiplayer video game designed as an Esport, with more than 40 million players worldwide. There are now dozens of college programs, as well as the professional Overwatch League, which has 20 teams around the world, including the recently launched Washington Justice, which played its first match on Feb. 13. The National Association of Collegiate Esports (NACE) includes more than 80 members, recognized by NJCAA and NAIA, but not yet by the NCAA. There are no divisions, in the traditional sense, to separate public from private schools, large state institutions from small technical or liberal arts academies. That allowed NOVA to fit into the landscape, launching their Esports program this fall. But as of now, they are the only junior college competing at that level, alongside schools as large as Ohio State and UCF. Not only was the Overwatch team only assembled this past fall, it was done so simply out of the students already on campus. There were no scholarships, no recruiting beyond emails to the student body and flyers taped up around campus. For traditional sports fans, it’s helpful to imagine the life span, growth and evolution of the Esports world happening at light speed. 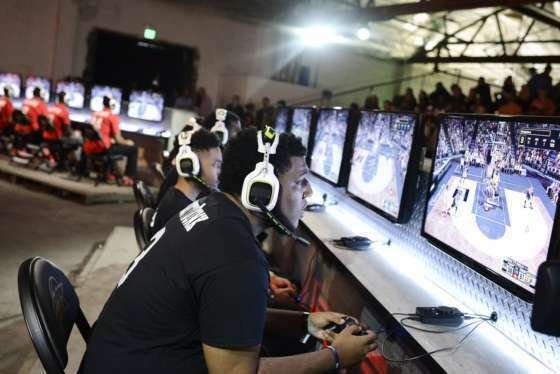 As institutional changes to the NCAA can draw out over protracted courtroom battles that span years and even decades, the landscape of Esports is constantly in flux even as it’s still being laid down. To wit — as we talk about college scholarship structures and the various levels of amateur and professional competition, this is a game that was only initially released to the public on May 24, 2016. It has taken less than three years — roughly 1,000 days — to grow to a game played by 40 million people. It’s no wonder others are desperate to engineer other Esports and try to build communities around them. Esports remains a highly fluid entity when it comes to which games are played most popularly, but for now, Overwatch is king. NOVA entered the Overwatch Collegiate Championship tournament ranked tied for second in the country, though the rankings don’t work quite how sports fans are accustomed to understanding them. Eight teams are tied for first; the Nighthawks are one of six teams tied for second. Nevertheless, to be one of the top 10-15 teams in the nation as the only junior college competing is no small feat. The NBA is buying big into esports. But can the league capture the grassroots energy created by some of the biggest games for its own title, NBA 2K? After sweeping past Randolph-Macon 3-0 in the first round, the Nighthawks stormed back from a 2-0 hole to win the final three maps to beat Lebanon Valley College, advancing to the Sweet 16. Now, they’ll face the only team to beat them thus far, Harrisburg University of Science and Technology, at 3 p.m. Saturday for a spot in the national quarterfinals. For many of the Nighthawks, NOVA represents a step along the way in their education, not the final piece. So how do Esports fit into their future plans? Tommy Thomas is a second-year engineering student from Burke, Virginia. He hopes to go on to George Mason to continue his studies. Maddie Johnson, a second-semester student from Prince William County, wants to attend Virginia Tech for veterinary medicine. Neither of those schools currently offer scholarships for Esports, though both have more informal club environments to continue playing. But NOVA’s success has put them on the map for four-year schools looking to recruit. “I’ve had quite a few schools reach out to me already and say, ‘We’re interested in scouting you, we’re interested in bringing players on, let me know what you have,’” said Gaul. For second-semester student Jared Libiran, who moved to Northern Virginia with his family from the Philippines in 2015, competing just gives him a chance to hone his skills at something he would do anyway in his spare time. All the players seem to agree that if there’s a key to their surprising success, it’s that they came together so quickly as a team. “The whole team is really fun. Everyone kind of came together really quick,” said Libiran, who didn’t join until the end of last semester. “It’s really nice to be a team like this. It’s almost like you have a family,” said Johnson who, despite being the lone female member of the Nighthawks, said she feels right at home. Coming from a four-year college experience, Gaul is especially aware of the added challenges his team faces. They don’t live on campus. Practice has to be arranged around work schedules, often late at night, just two or three times a week, instead of every day. But that only makes him more proud of what they’ve accomplished in year one. “Whatever the reason — financial, time, whatever that looks like — they go to a two-year school and they expect what society tells them to expect: you go there, you go to class, you go home. You go to work, you go home,” he said.